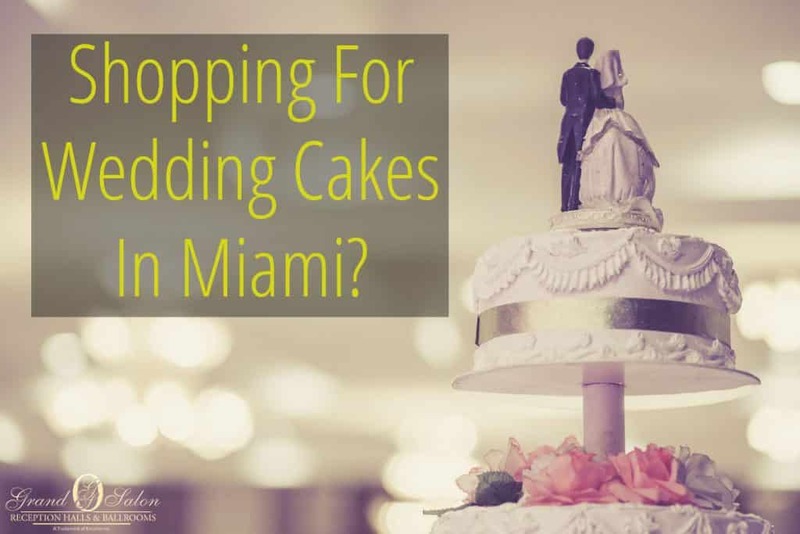 Where Are The Best Wedding Cakes Miami Has To Offer? Cutting the cake at your wedding is a timeless tradition. This moment in time should be a cherished memory from one of the most special days of your entire life. Think about it, your wedding cake will serve as one of the centerpieces of your reception, and will also be the subject of countless photographs. Therefore, picking the perfect wedding cake Miami should not be done hastily. 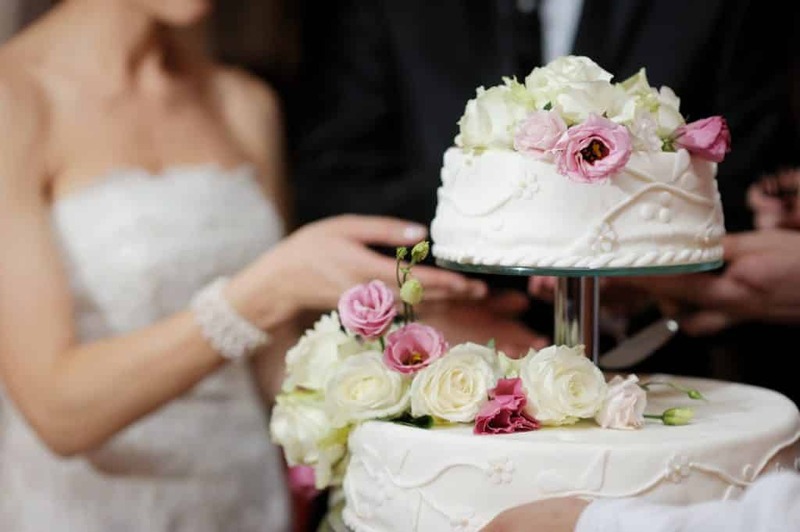 So, whether you’re looking for a lavish, towering spectacle – or something a little more understated and elegant – finding the perfect wedding cakes Miami has to offer should be one of the most important aspects of the wedding planning process. Divine Delicacies Custom Cakes is a family run business that has created custom cakes for some high profile clients, including Dwyane Wade & Gabrielle Union, Nicki Minaj, Rihanna, Floyd Mayweather, and Kim Kardashian, to name a few. With such an elite clientele, no demand is too outrageous or over-the-top for these masterful bakers. They are known for working closely with couples to create and design the perfect cake that caters to all of your wildest desires. They offer exquisite flavors such as red velvet, guava cream cheese, and Godiva chocolate. These fabulous custom cakes transcend the traditional image of white tiered wedding cakes, and they’re guaranteed to leave a lasting impression on even the most refined guests. Divine Delicacies even has their own reality show, “Divas Del Azucar”, which airs every Tuesday on TR3S. Since 1972, Edda Martinez has been using family recipes to create simple, delicious, and elegant wedding cakes Miami has come to gush over, with a Cuban flair. Today, Edda’s Cake Designs has three locations around Miami, and has built a strong reputation of quality, originality, and prestige. Edda’s bakery only uses the finest ingredients and follows secret family recipes to craft cakes that are as delicious as they are beautiful. The bakers will work with couples to create the custom cake of their dreams, for an affordable price. There is a reason Edda’s Cake Designs has been chosen as the winner of the TheKnot.com’s Best of Weddings Award every year since 2007! Located in Doral, Ana Paz Cakes has been a key player in the South Florida wedding industry since 1990. Despite its small storefront, this Puerto Rican bakery whips up some big & impressive cakes. With recipes handed down from her mother, Ana Paz creates delicious wedding cakes with an island flair. As an extremely dedicated baker, Ana takes the time to meticulously plan the delicate and ornate features for every dream wedding cake she bakes. Whether you want a traditional cake, or one with a personal touch, Ana Paz is one of the most reliable and consistent bakers in all of South Florida. 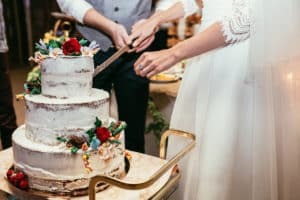 The head pastry chef of Todo Dulces, Laura Fleubry, incorporates her Argentinian roots into traditional recipes to create beautiful, original, and preservative free wedding cakes. Armed with recipes passed down from her ancestors, Laura has built a reputation for baking some of the best tasting wedding cakes Miami residents have come to love. Aside from being tasty, each custom cake is crafted to the couple’s exact specifications, resulting in beautiful, unique, and ornate creations. The best part? Guests are able to take home a miniature version of the wedding cake as a memento! Located in Hialeah, Elegant Temptations is a boutique bakery which strives to bake custom cakes to coordinate with any wedding theme. They do this by incorporating colors and design clues to create the perfect cake for the occasion. Head designer Rosie Cunill works closely with couples to craft an elegant and memorable wedding cake that pops with the decor. Stylish, delicious, and beautiful, Elegant Temptations has quickly risen in the ranks as one of the top wedding cake shops in South Florida. Are you planning for an upcoming wedding in the greater Miami area? 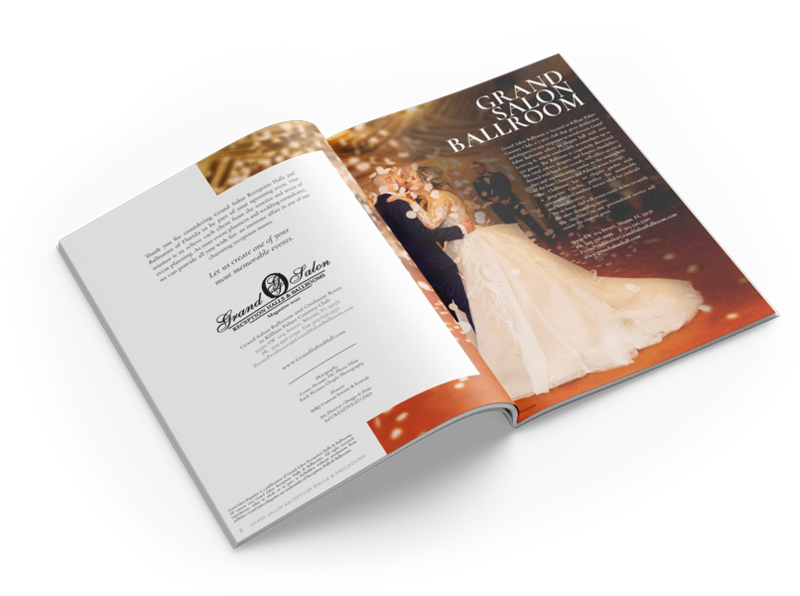 If so, you should consider choosing Grand Salon Reception Halls & Ballrooms and your wedding ceremony and reception venue! Call Grand Salon today on (305) 273-9515 and book one of our amazing venues for your wedding. Are you planning a wedding this year? If you are, you’ll want to be in the loop on all of the newest 2019 wedding trends….